WASHINGTON, D.C. -- The U.S. House of Representatives passed its version of the Senate 'Fiscal Cliff' compromise bill, known as HR 8, the Tax Relief Extension Act, by a vote of 257-167 late last night. President Obama is expected to later sign the bill when it reaches his desk. In a statement released by The White House, the compromise was hailed as a "A Victory for Middle-Class Families and the Economy... For the first time in 20 years, Congress will have acted on a bipartisan basis to vote for significant new revenue. This means millionaires and billionaires will pay their fair share to reduce the deficit through a combination of permanent tax rate increases and reduced tax benefits. And this agreement ensures that we can continue to make investments in education, clean energy, and manufacturing that create jobs and strengthen the middle class." 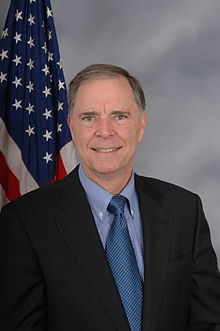 U.S. Representative Bill Posey (R-FL), whose district includes Brevard County along Florida's Space Coast, voted against the bill saying, "Unfortunately the Senate also included last minute provision to increase deficit spending by an additional $330 billion over 10 years according to a budget impact analysis completed by the Congressional Budget Office (CBO). By attaching this additional deficit spending to must pass legislation at the last minute, the Senate and Administration plan to simply pass on the costs of this new spending to our children and grandchildren." Florida U.S. Senator Marco Rubio also voted against the Senate version of the fiscal cliff compromise, saying the compromise "postpones the inevitable." One economic impact analysis estimates that 1,366 NASA Kennedy Space Center related contractor jobs would be lost on Florida's Space Coast in Brevard County under the impending 'fiscal cliff.' Ron Cobb of the Space Coast Economic Development Council said in a Brevard Times OpEd that sequestration "...would drain more than $330 million from Brevard County’s economy in 2013..."
Permanent extension of the middle class tax cuts: This will provide certainty for 114 million households including lower tax rates, an expanded Child Tax Credit, and marriage penalty relief—steps that together will prevent the typical family of four from seeing a $2,200 tax increase next year. In addition, it includes a permanent Alternative Minimum Tax (AMT) fix. Extension of Emergency Unemployment Insurance benefits for 2 million people: The agreement will prevent 2 million people from losing UI benefits in January by extending emergency unemployment insurance benefits for one year. Extension Agricultural subsidy programs for 1 year: Avoids $7 a gallon milk. Extension of tax cuts for 25 million working families and students: The deal extends President Obama’s expansions of the Child Tax Credit, Earned Income Tax Credit, and the President’s new American Opportunity Tax Credit, which helps families pay for college. The agreement would extend them for five years. Extension of renewable energy incentives, the R&E tax credit and other business incentives: The agreement extends tax relief for businesses through the end of next year. Fixes the SGR (“doc fix”) with no cuts to the Affordable Care Act or to beneficiaries: The agreement avoids a 27 percent cut to reimbursements for doctors seeing Medicare patients for 2013 by fixing the sustainable growth rate formula through the end of next year (the “doc fix”). Postpones the sequester for two months, paid for with $1 of revenue for every $1 of spending, with the spending balanced between defense and domestic: The agreement saves $24 billion, half in revenue and half from spending cuts which are divided equally between defense and nondefense, in order to delay the sequester for two months. This will give Congress time to work on a balanced plan to end the sequester permanently through a combination of additional revenue and spending cuts in a balanced manner. 2% Increase in Payroll Taxes for Everyone. The payroll tax is increased from 4.2% to 6.2% which will be taken out of workers' paychecks immediately. The tax is on the first $113,700 a year income. Example: A worker making $50,000 a year will have $1,000 less take home pay per year, $25,000 - $500 less. Restores the 39.6 percent rate for high-income households, as in the 1990s: The top rate would return to 39.6 percent for singles with incomes above $400,000 and married couples with incomes above $450,000. Capital gains rates for high-income households return to Clinton-era levels: The capital gains rate would return to what it was under President Clinton, 20 percent. Counting the 3.8 percent surcharge from the Affordable Care Act, dividends and capital gains would be taxed at a rate of 23.8 percent for high-income households. These tax rates would apply to singles above $400,000 and couples above $450,000. Reduced tax benefits for households making over $250,000 (for singles) and $300,000 (for couples): The agreement reinstates the Clinton-era limits on high-income tax benefits, the phaseout of itemized deductions (“Pease”) and the Personal Exemption Phaseout (“PEP”), for couples with incomes over $300,000 and singles with incomes over $250,000. These two provisions reduce tax benefits for high-income households. Raises tax rates on the wealthiest estates: The agreement raises the tax rate on the wealthiest estates – worth upwards of $5 million per person – from 35 percent to 40 percent, in contrast to Republican proposals to continue the current estate tax levels. The agreement’s $620 billion in revenue is 85 percent of the amount raised by the Senate-passed bill, if that bill had been enacted and made permanent: The agreement locks in $620 billion in high-income revenue over the next ten years.